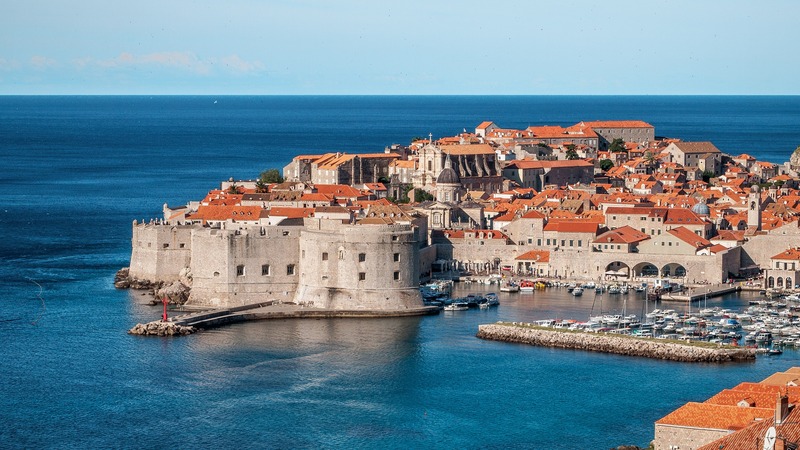 Surrounded by nearly two kilometers of ancient walls, keeping the memories of its former glory, Dubrovnik is one of those small cities that know how to impress their visitors. You should take a walk around the palaces, fortresses and islands, pass through the ancient gates, while after sunset – join the nightlife of the Croatian city, for instance on the board of a yacht with a delicious drink. 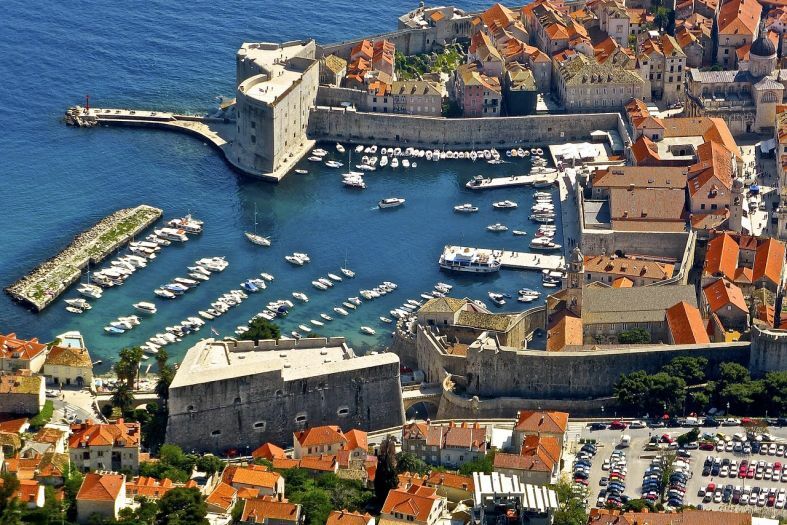 Old City of Dubrovnik – The Old City is a place you want to get lost in. Numerous narrow streets, small and big squares, marble alleys, churches, beautiful buildings with preserved authentic architecture and stairs leading to the stone walls of the city where the sea welcomes you with its entire expanse. And thousands of boats along the shore, waiting to take you on an unforgettable journey. 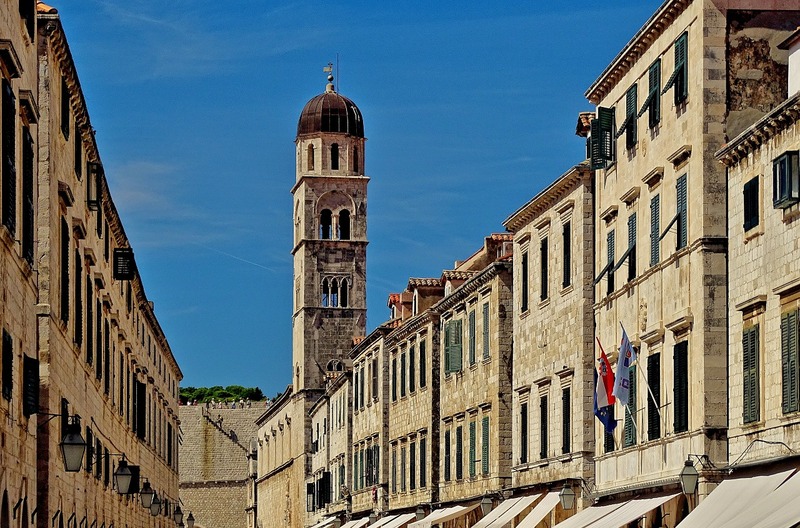 Stradun Street (Placa) is the heart of Dubrovnik. This is the main street of the city, full of entertainment and catering establishments and shops. The buildings have identical architecture, built of stone and levelled. Each new building in the region should meet the set requirements so as to preserve the stylish look of the environment. Only the Clock Tower, located in the end of the street, dominates over the others with its 31 m height, being one of the symbols of the city. Big Onofrio Fountain (Velika Onofrijeva Fontana) has 16 sides, each of them having an original mask, the mouth of which is a tap pouring drinking water. This is a perfect place to refresh yourself on a hot day. The fountain was built in the XV century by Italian architect Onofrio della Cava, who built the water supply system of the city. It is located close to the Pile Gate. The City Walls of Dubrovnik – the entire city is surrounded by defensive stone walls, some 2 km in diameter. There are 12 forts, 15 bastions and 4 round and corner towers. Fort Bokar was built to protect the Gate Pile. Nowadays it hosts some of the events within the Summer Festival held in the city. The walls were constructed in the Middle Ages – XIII-XIV, to protect the city from attacks. While taking a walk in their unique atmosphere, you will also enjoy an incredible view to the shore and the seaport. Sponza Palace was built in the XVI century when it served as a customs building, monitoring the trade of goods. Its architecture combines Renaissance and Gothic styles. The first school in Dubrovnik was sheltered here, too, as well as the bank and the armoury. Nowadays it stores the state archives and many historical manuscripts. The Rector’s Palace (Knežev dvor) was built in the XIV century as the official headquarters of the ruling republic. It is located on Stradun Street and its architecture combines Gothic and Baroque styles. It shelters the Cultural Historical Museum. Here you can see a rich collections of paintings, icons, ceramics, furniture, textile, glass and metal pieces of art, as well as many photos. The Dominican Monastery (Dominikanski samostan) is situated in the northern part of the Old City of Dubrovnik. It is built in a Gothic and Renaissance style. It shelters works of art by Italian and Croatian artists, while the monastery’s garden houses a well from the XIV century, which is still active. Franciscan Monastery – the Franciscan Church and Monastery complex (Franjevački samostan) is comprised of a monastery, clock tower, XV century well, Baroque church, pharmacy store from the XIV century – the third-oldest in the world, which continues functioning until nowadays, as well as one of the biggest libraries in Croatia with more than 20,000 books, 1,200 of which are old text and musical manuscripts. 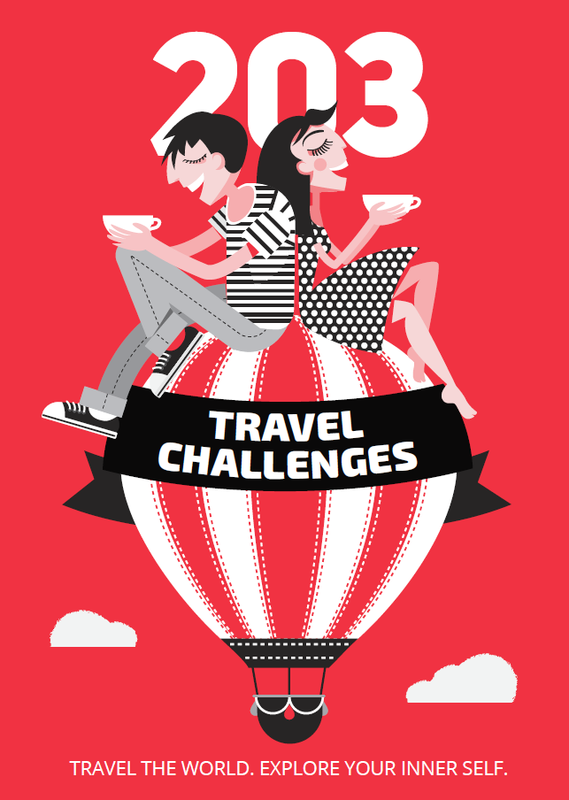 Generally, there is much to be seen here and there is no risk of getting bored at all. 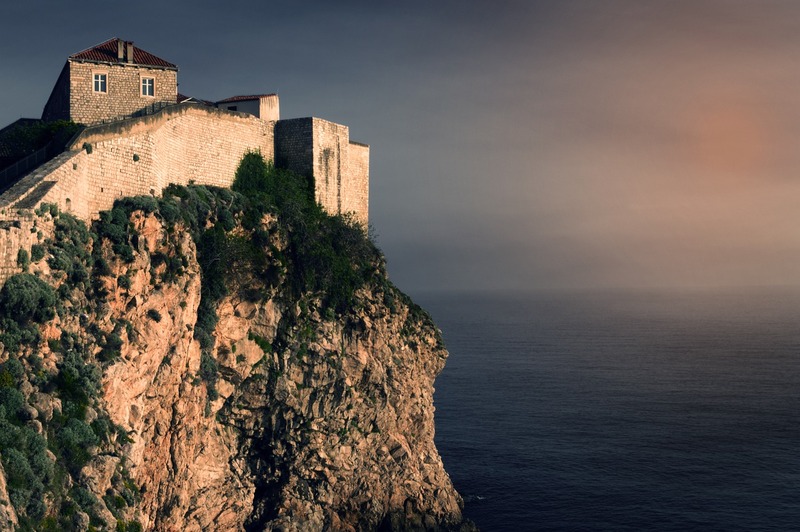 Fort Lovrijenac is located in the western part of the city, outside the Walls of Dubrovnik, on a 36 m high steep rock that sticks out into the sea. According to legends, the fort was built in only three months to stop the Venetians from constructing their own fort at the same place. Nowadays, it is a scene for many Shakespeare plays performed during the Summer Festival. Minceta Fortress is the major stronghold of the Old City, placed right between its two gates. It dates back to the XIV century and was reconstructed in the XV century. It is the highest point in the Old City of Dubrovnik and one of the symbols of the city. St Blaise’s Church (Crkva Sv. Vlaha) was built in 1716. A curious fact is that the previous temple situated at this place survived a powerful earthquake back in 1667 but few decades later (1706) it burnt down to the ground. Venetian Marino Gropelli is the architect of the church. There is a gold-plated statue of St Blaise at the main altar, made by local artists in the XV century. In one of his hands the Saint holds a scale model of Dubrovnik the way the city looked before the 1667 earthquake. St Blaise (Sveti Vlaho in Croatian) is the patron saint of the city of Dubrovnik and there are celebrations honouring the saint organised every year. Lokrum Island is situated half a kilometre away from the coastline of Dubrovnik and its green hills can be seen from afar. There is a botanical garden with plants from all over the world on the island. Your memories from this place will be sweet with eucalyptus. The island is around 100 m above sea level. There is an old French stronghold atop of the hill. The way up to it is very exhausting but the nice view to the shores of Dubrovnik seen through the green trees is worth it. The Elaphiti Islands (Elafitski otoci) is a small archipelago with a dry and warm climate, long summer and very short winter. A perfect place to lie under the shadow of the palm trees with a cocktail in your hand. The Elaphiti Islands include the islands of Sipan, Lopud, Kolocep, Daksa, Ruda, Misnjak, Jakljan, Kosmec, Golec, Crkvina, Tajan and Olipa. Sometimes Lokrim is considered part of the Elafits, too. Here you can also find dense forests and spacious beaches. You can reach the island by ferryboat from Dubrovnik, running at regular intervals few times a day. With a cable car to Srd Mountain – Please yourself with this unforgettable experience – take a ride to the Srd Mountain with a cable car. The top of the mountain offers a beautiful view to the shore. You can reach Srd Mountain by bike, too, riding amidst the rich mountain greenery. A boat trip – After a long day of strolling down the streets, a boat trip will have a very relaxing effect. You will enjoy the shores of Dubrovnik from the sea and pass by some of the beaches. You may take a boat from the old port and reach the new one, or the other way round, or you may sail to one of the nearby islands. Feel the sea breeze into your hair. Full steam ahead! Dubrovnik Summer Festival – every year the city turns into a big scene from the start of July until mid-August. Dances, music, opera, ballet, theatre – every single day. The citizens of Dubrovnik never give up and even when there are no available places they enjoy the shows from the windows of their homes. Everyone is invited, feel welcomed to the festival! Beaches of Dubrovnik – there are both central and numerous hidden beaches where you can find peace and privacy. Most of the beaches in Dubrovnik are rocky. Babin Kuk beach is the most popular one and if you want to visit it, you should go there early in the morning because later on it will be impossible to find a place. There are several smaller, picturesque beaches in the Old City but they are hardly accessible. The Plat beach is located few kilometres away from the city, it is rocky, wide enough and not too crowded. Have some seafood – squids, clams, white fish, crabs, cuttlefish, octopus, shrimps, whatever you order, it will be the right choice because Croatia is famous for its tasty, mouth-watering seafood, while the locals do their best to provide fresh products every day. Don t forget a glass of nice wine. Cheers! Or Živjeli! in Croatian. Try orahnjaca – a traditional Croatian sweet dish with walnuts, a perfect end to the delicious lunch or dinner. Bon appetit! Shops in Dubrovnik – the streets in Dubrovnik are full of stands selling souvenirs, spices, lace, tea, textile, jewellery, and everything you can imagine. The fashion stores for clothes, shoes and accessories are found in the Old City, as well as on Stradun Street. DOC Kerum, on the other hand, is the biggest trade centre in Dubrovnik where you can buy everything, including home appliances and furniture. 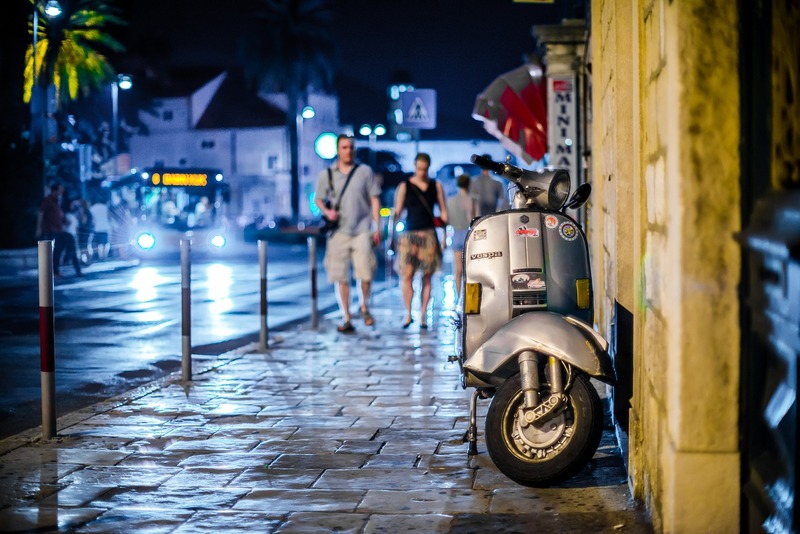 Night life in Dubrovnik – Latino and jazz clubs, discotheques with electronic music, cocktail bars with live music, Irish pubs – whatever you like. There are many entertainment establishments in the Old City, too, as well as on Stradun Street and along the beaches.